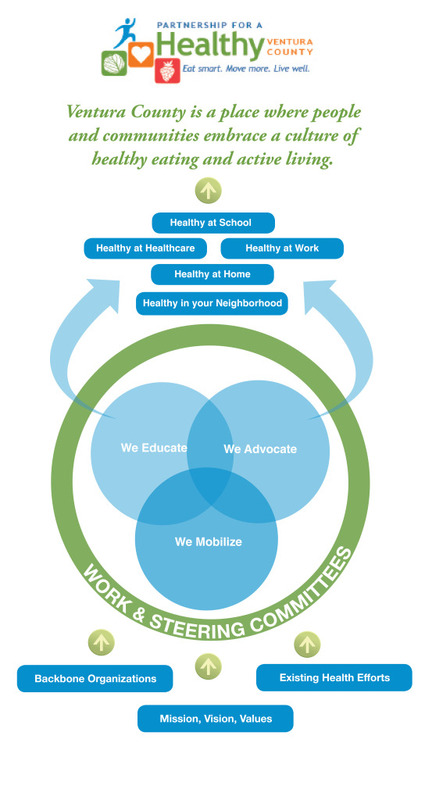 Through its five working committees the HVC Partnership hosts trainings and events throughout the year for health care professionals, employers, teachers, parents, community leaders and seniors to learn about select health and activity related topics. Each March during National Nutrition Month, the HVC Partnership honors selected organizational and community leaders for their contributions to healthy eating and active living through its Community Health Champions Award issued. Individually and collectively the more than 100 PHVC members are driving healthy change in our communities through a wide range of projects and programs such as healthy school lunches and fundraisers, farmer’s markets/farm to school programs, community gardens, breastfeeding support and education, neighborhood walking groups, recreational activities for seniors, work with physicians and clinics to support weight management and healthy eating, tobacco cessation, workplace wellness trainings and resources, social media and website outreach and policy research. Through their participation in the PHVC , organizations and individuals across the county can share knowledge and resources, helping to build a healthy Ventura County. The $1 million was awarded in December to the HVC Partnership/Ventura County Public Health to develop the West Ventura HEAL Zone. The grant extends for a period of three years and nine months, through September 2015.